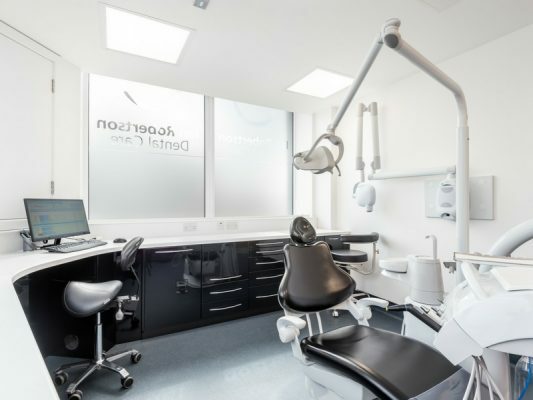 The main brief was to create a contemporary state of the art dental surgery, extending into the two adjacent shop units. 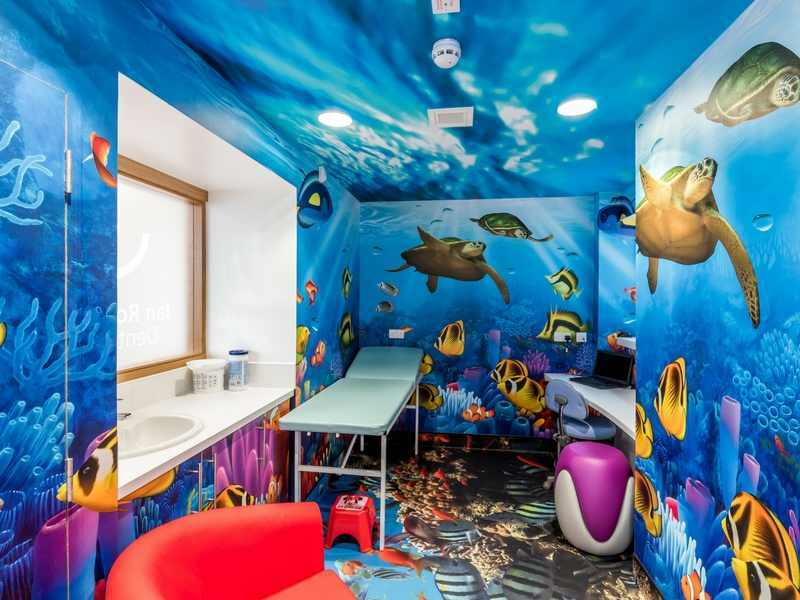 The practice was upgraded from two to four surgeries and included an aquatic-themed children’s room. 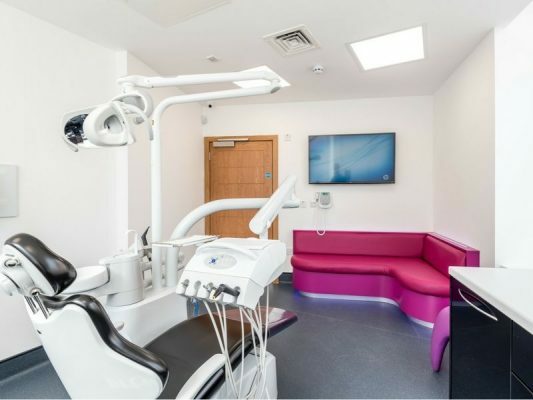 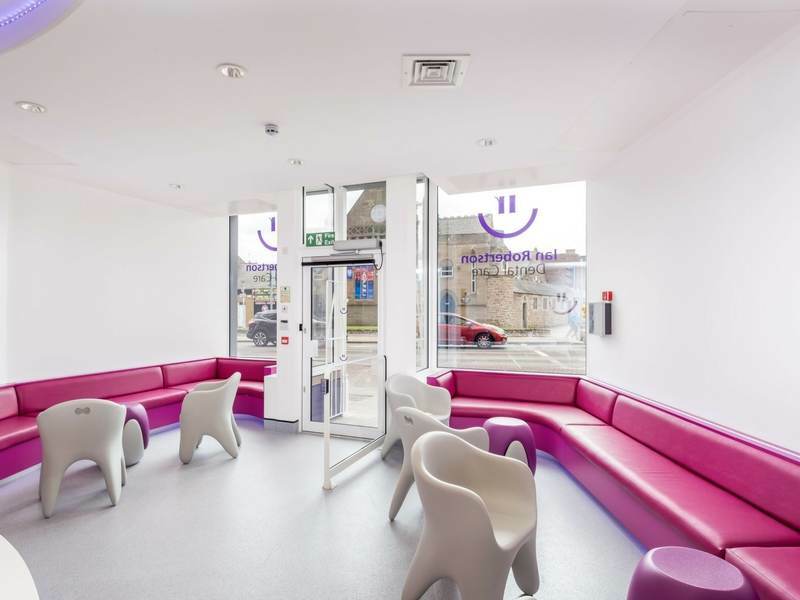 The renovation included branded frosted glass windows and partitions, as well as a welcoming reception area, complete with bespoke tooth-shaped stools and chairs. 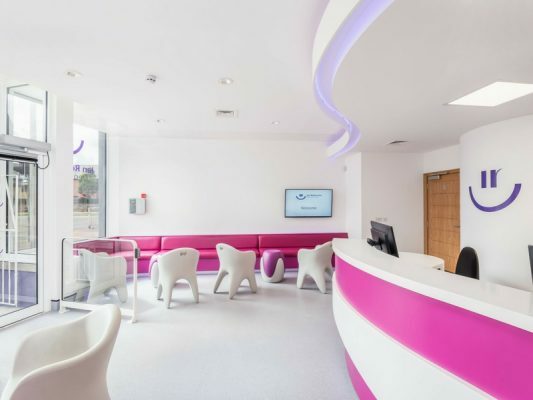 In addition to the building renovations, our team produced and fitted a bespoke reception counter, bench seating in the reception area and custom-made surgery cabinets. 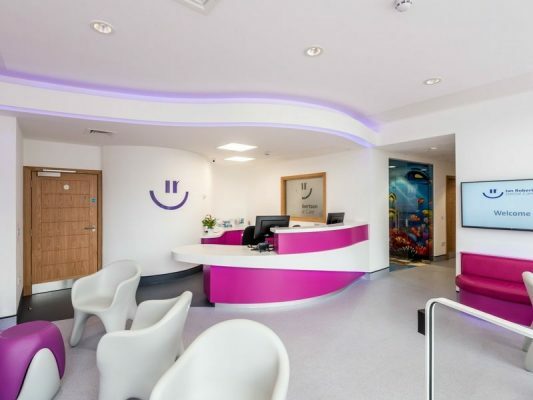 This entry was posted in Dental, Projects and tagged Dental, Reception, Refurbishment, Seating, Surgeries.